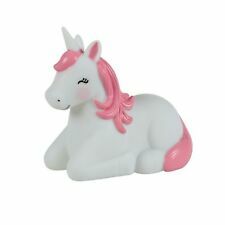 Sass & Belle Unicorn Night Light. This fun, colourful and cute Rainbow Unicorn collection was created for believers only. Colour - White. Twinkle, twinkle, little light! Add a playful touch of the galaxy to your child’s room with the LED BN07 Twinkle Little Lantern Light. Perfect as kids’ room lighting, or as a decorative lamp for the kid at heart, this lantern night light is not only easy on the eyes, but also easy to use. 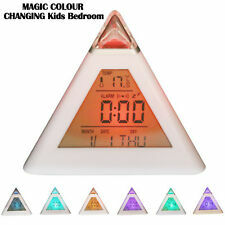 Ideal bedside lamp / night light for childrens bedrooms. 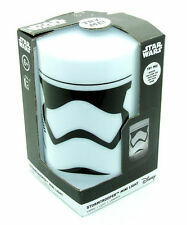 Star Wars Storm Trooper design mini light. STORM TROOPER MINI LIGHT. Made from plastic. Requires 3 x AAA batteries (Included). Simple push on the top to turn on and off. Add an endless illusion of light to your room with this LED Unicorn Infinity Light. Unicorn Infinity Light. It's great for helping send your little one off to sleep if they're afraid of the dark. We aim to resolve any problem as quickly as possible. 1 x USB Line. 1 x Night light. Promise dimming: Press the stomach, lighten or darken the light, the light-emitting bone design. - Color: White. Timing lights: Touch 2, the light extended by 10 minutes after shutdown. The lamp is very safe for little ones to use and stays cool to touch even when left on for hours. All the components of the lamp are fully enclosed to stop prying fingers from touching any of the internal parts. Flexo sleeve. • Flexo sleeve. The integrated LED technology also ensures a pleasant and glare-free light. Type: table lamp. Lamp shade: Acrylic, transparent. Kitchen appliances. Safety technology. • The lamp can not be replaced in the lamp. 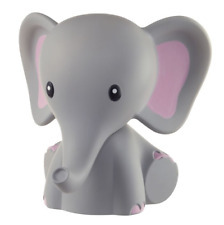 Ideal bedside lamp / night light for childrens bedrooms. Star Wars BB-8 design mini light. BB-8 MINI LIGHT. Made from plastic. Requires 3 x AAA batteries (Included). Simple push on the top to turn on and off. Create a magical ambiance - project your favourite Finding Dory Scenes. Colour: Blue. High quality LED light - can be used as a table lamp. Special Features: Film projection and LED Light. Item Weight: 191 g.
Gentle and warm yellow glow to protect your eyes better. Material: ABS LED. 1 USB Charging Cable. Fits for nursing mothers, students, elderly people, children, etc. at nights. 3 LEDs placed inside, energy-saving for longer lasting. Close at hand and easy to switch on, it makes your child feel safe and comfortable at night. Ideal light for your child's desk or bedside. Working on batteries, this compact table lamp can easily be placed next to the bed or on a desk, to create a magical ambiance. Colour: Colour Changing. Colour Changing Light / or White Light. Type: Night Lamp / Regular Lamp. Watch its Mouth flash when it hears noise -. Head Design Table Lamp. This is a working Lamp not a Toy ! This is collection only. This children's lamp is in a lovely condition. It has been up in the loft for a few years, it was used by both my children but is no longer required. Perfect as a gift for the cold dark winter nights. Kids table lamp night table lamp night light children lamp of Sorpetaler 19071502 (d Prolux lighting Center North Rhine-Westphalia, Lichtkauf2009). Kids table lamp night table lamp night light children lamp of Sorpetaler 19071502. However, it should be kept out of the reach of small children.SWEET DREAMS. The cute deer design looks comforting and fits perfectly in a nursery or child's room.INCLUDES PENDANT. 1x Navaris LED night light "Deer". The night light function automatically switches off after 10 minutes the lamp and is perfect as a sleep aid for your child. Charging the battery via USB through the supplied USB cable. The table lamp contains no breakable glass parts, it is safe and easy to use. This bedside lamp has a bright pink and battery operated. We do our best to process as quickly as possible. In the case of factory defects, we will replace the product for you. Turn on one of the film wheels to project one of the 24 fun filled scenes from Finding Dory onto the ceiling and let the adventure begin. Create a magical ambiance - project your favourite Finding Dory Scenes. Working on batteries, this compact table lamp can easily be placed next to the bed or on a desk to create a magical ambience. Spiderman Children's Table Lamp. This portable table lamp features your child's favourite Spiderman character. Material: Synthetics. Working on batteries, this compact table lamp can easily be placed next to the bed or on a desk to create a magical ambience. Specific Uses: Table light, desk light. High quality warm white LED light. This RGB Office or a table lamp features are:-makes a great night light decoration. -RGB LED lamp. The Koranic Nightlight is a model of additive color where the red, green and blue light is added together in various ways to reproduce a wide range of colors.